- 57mm "RSX" Round Cut: 57mm x 36mm, 24mm CP. 10.7 Oz/set. - 57mm "RSX" D/C: 57mm x 33mm, 22mm CP. 10 Oz/set. - 59mm S-II S/C: 59mm x 38mm, 22mm CP. 12 Oz/set. - 59mm S-II D/C: 59mm X 34mm, 20mm CP. 10.5 Oz/set. - 62mm S-II S/C: 62mm x 40mm, 23mm CP. 13.5 Oz/set. - 62mm S-II D/C: 62mm x 38mm, 23mm CP. 13 Oz/set. 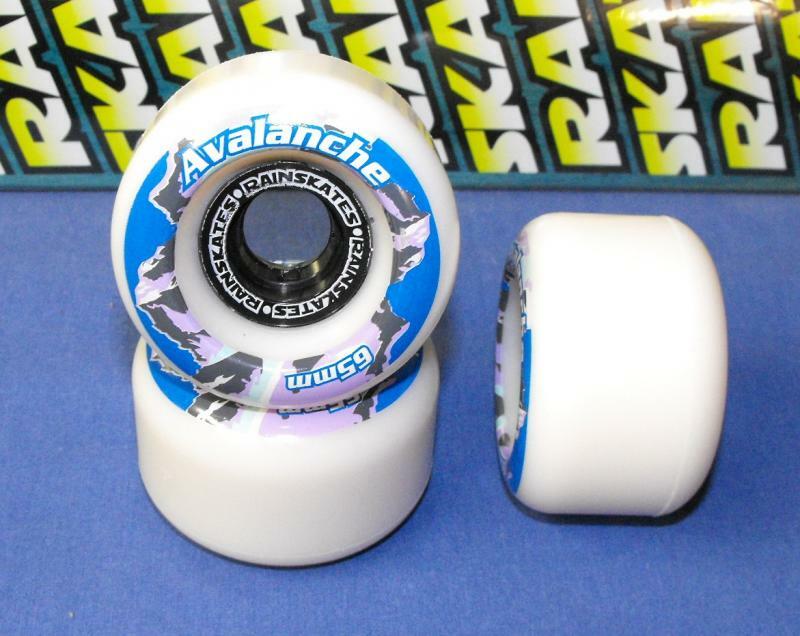 - 65mm Avalanche: 65mm x 42mm, 24mm CP. 16 Oz/set. 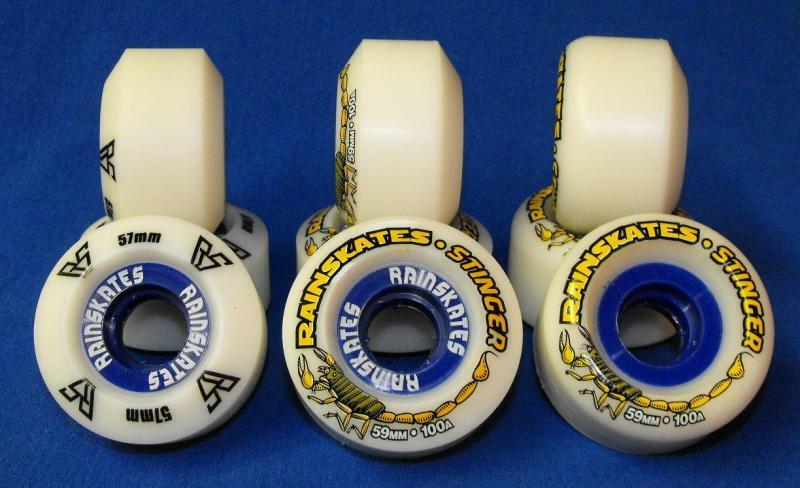 * The 54mm Mini-Stingers are poured from the Standard formula (not the "X"), and also rated at 100a Durometer. Price is $32/set.